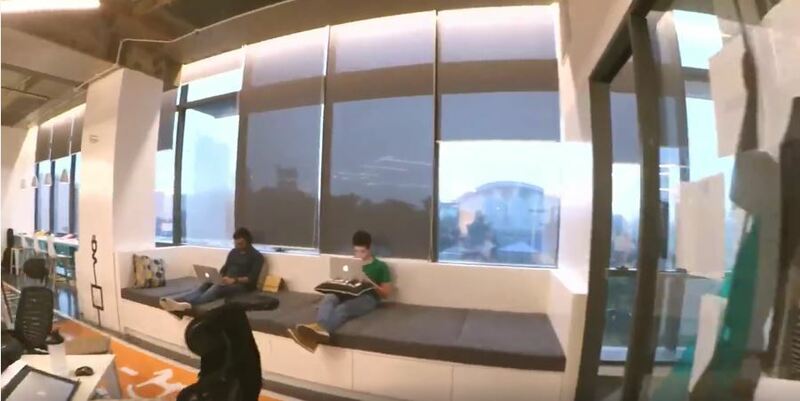 Silicon Valley has popularised the idea of tech geeks who work at odd hours and at cool, fun-filled and Google-like offices all in the name of changing the world. 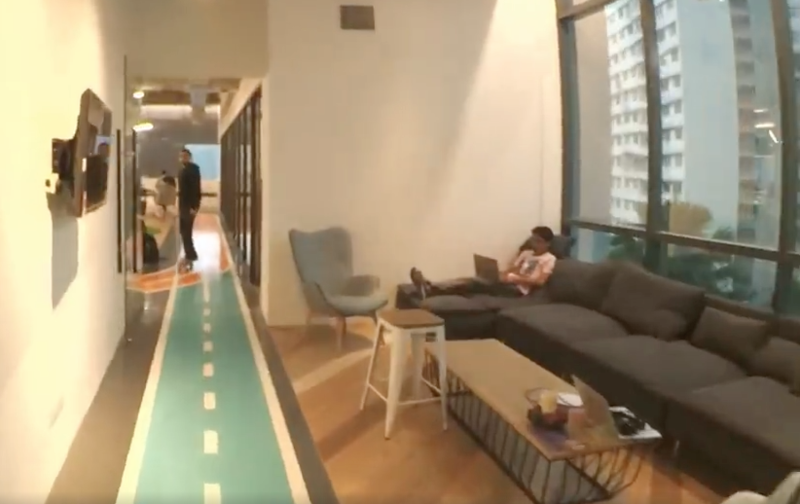 While the debate around startups providing their employees with such work environments and their impact on productivity is one that’s on going, one thing is very clear—they’re simply amazing to work at. 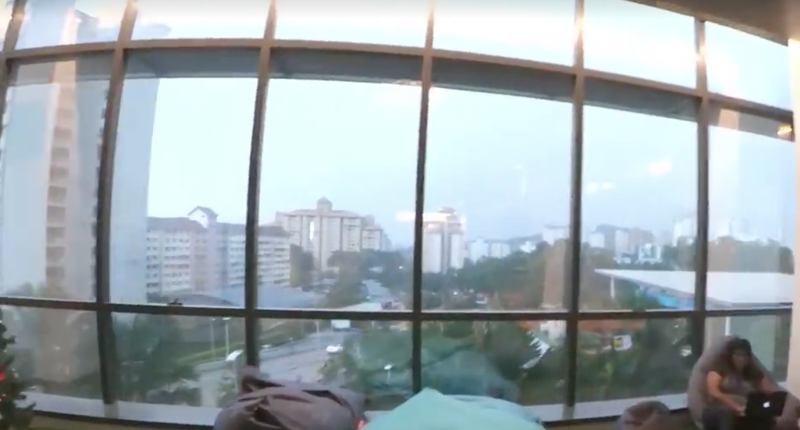 After all, who wouldn’t want to do all their work while resting on a couch or on a beanbag (even though it’s probably not the best posture) while overlooking an amazing view? In the spirit of all things cool, KFit provides its employees with a chilled out work environment filled with all sorts of goodies, so that they can perform to their best. 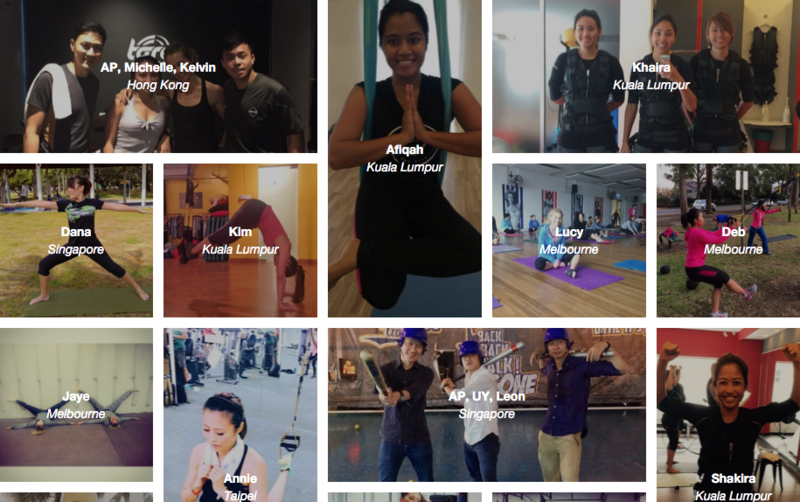 Founded by Joel Neoh, KFit is a Malaysian startup that offers its users access to numerous gyms, fitness studios, among other fitness-based activities, all for a monthly fee. Available as a mobile app on both the iOS and Android platforms, KFit is currently available for use in 8 countries including Malaysia. According to their website, KFit has over 260k members, over 390k monthly activities, and over 4500 studios and gyms on its platform at the moment. 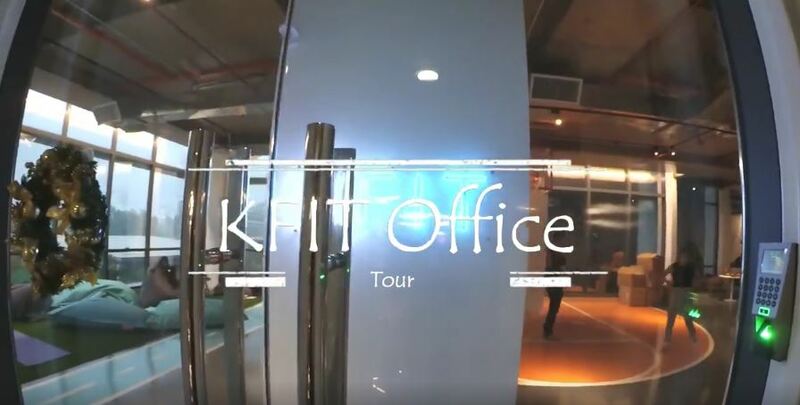 Facebook user, Jacky Chan recently uploaded a minute long video that gives you a tour of KFit’s office, and so far the video has been viewed nearly 50k times. Given that they’ve achieved such traction in less than a year, here is a sneak peak inside their headquarters where the KFit team works in coherence to change the way we access avenues of fitness. 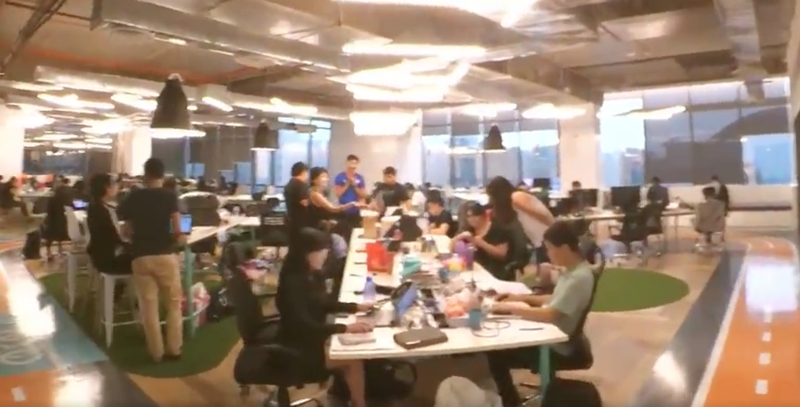 KFit is a relatively new startup and given their rapid growth, it’s only fit to have all the teams coherently laid out throughout the office. Even though they have designated tables for their teams, you’re can still work while you chill out on the beanbags or the couches and you get to stare at other buildings around you. 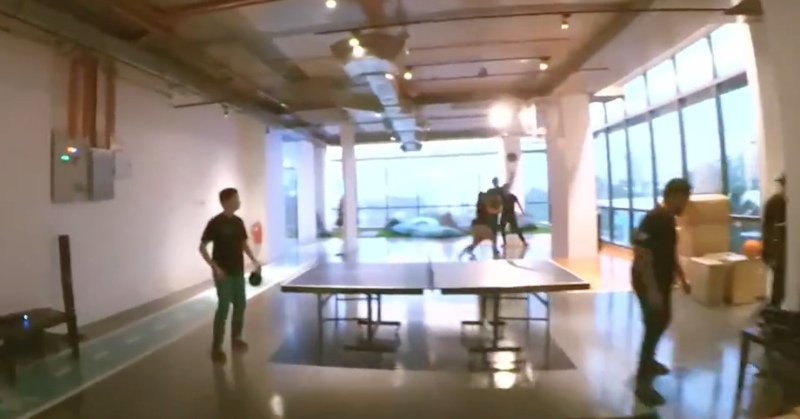 KFit embodies all the cool aspects of working at a startup, and as such, if you’d like to blow off steam after work, you can always have a friendly game of table tennis. 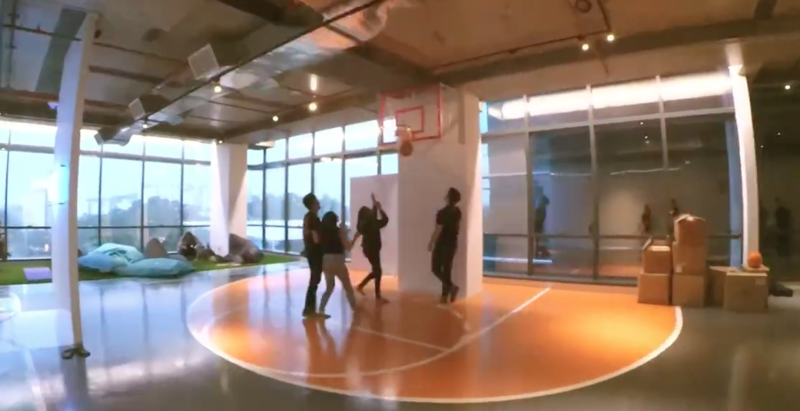 If you fancy a game of basketball once in a while, you can always head over to their mini basketball court.